Tony Ihongbe aka tony GITL (God is the label ) is renowned for his art of sampling and chopping music, he's also a composer Signed under climax music. He has worked with Magnito, Godwon , Morell, The Aqua Dragon, Xela Xelz aka Otinkpu (vmg), Splash, Dj rohki p, Erriga etc. 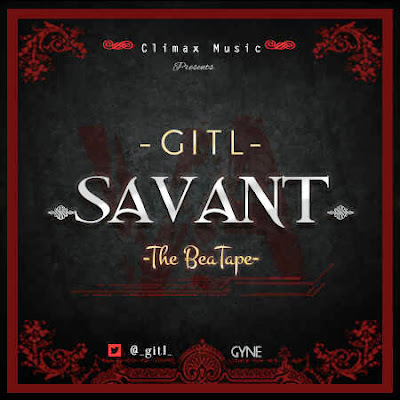 In anticipation of his beatape titled 'SAVANT' which drops in a week (all beats prod by GITL). He presents "GITL savant the Beatape" by giving away this fantastic Instrumental for absolutely FREE! Climax music has decided to shoot a free quality video for whoever comes out on top with the dope instrumental! 1. Please kindly tweet #SavantBeatapeCompetition by #GITL to set a trend for others to follow and of course participate. 5. A winner would then be selected out of the entries. The Winner would get a video shot by GALACTICOS and free promotion both online and tv.